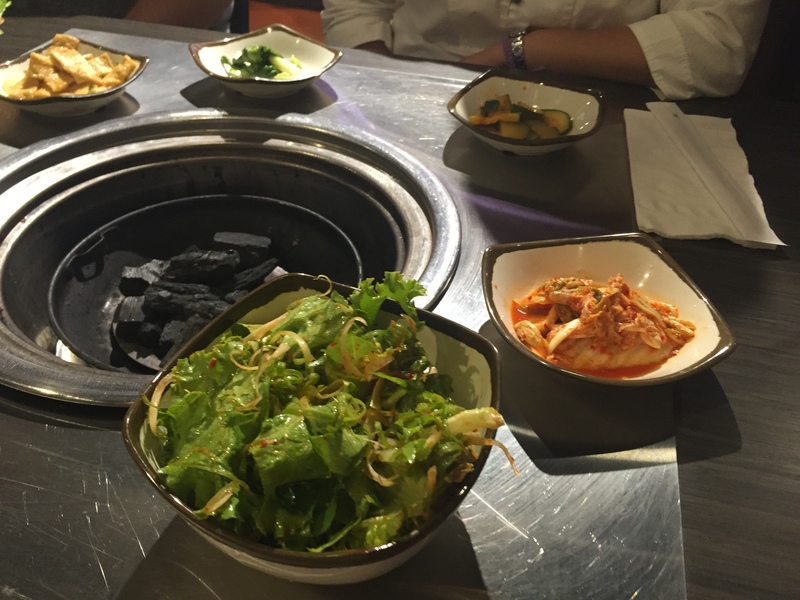 Love at first bite: Dae Jang Keum – Eat. Rest. Repeat. I may have fibbed….on two counts. First off, this place was technically love at second bite…the first time I visited was about 2 weeks ago, and I was not too impressed. It may have been because I had lunch, and their lunch options are not nearly as epic as dinner…. Secondly, I named Bi Bim Bab as the place to go for Korean food in my “hometown favorites” entry. This has quickly taken its place. Let me first explain the complexity of finding this restaurant. If you are familiar with the Korean grocery store, H-Mart, located on Big Beaver and Dequindre, that’s already half the battle. This place is in the northwest corner of the same strip (so if you’re facing H Mart, it’s at the far left). The second half of the battle is the fact that there are no signs up currently (the whole complex is undergoing some changes). There is no indication whatsoever that this place even exists. 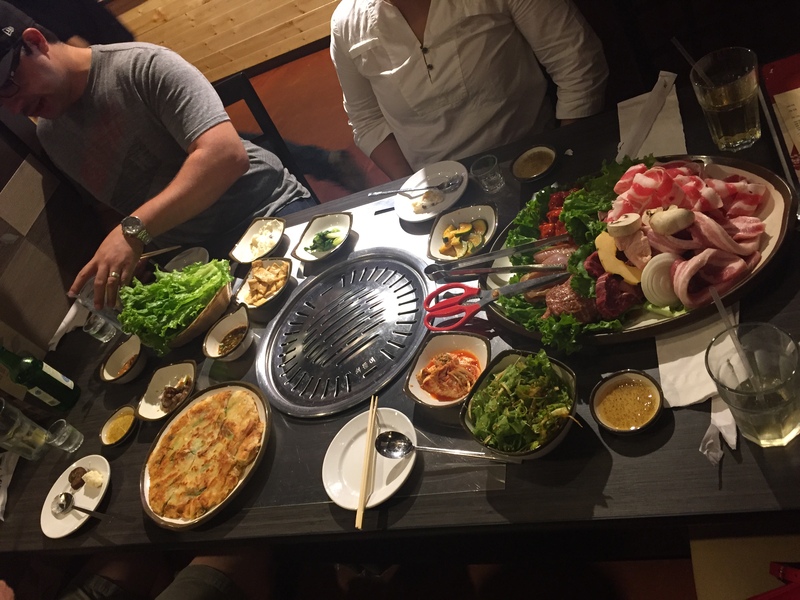 Even when you Google “Korean restaurants near me”, this place doesn’t show up! 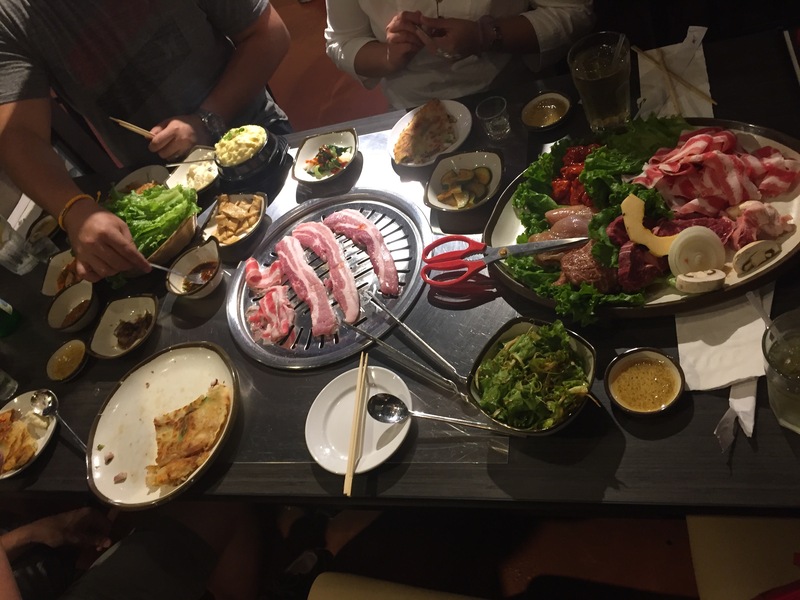 My best friend and I, along with our husbands went for dinner last night, as we were in the mood for Korean BBQ and didn’t want to make the trek out to Novi. We were impressed from start to finish! Upon arrival, you quickly notice that the WHOLE restaurant is filled with Korean people. If the majority of patrons are of the same ethnicity as the food served, you KNOW you’re in the right place. The service is AMAZING! The servers came around very often to refill drinks, check on our meat, and changed our grill top out several times! They made sure to tell us to grill the un-marinated meats first, and switched grill tops in between; then, when we were ready to start grilling our marinated meats, they changed it again! The pricing is VERY reasonable. Who doesn’t love a deal, right? You can order combination plates. 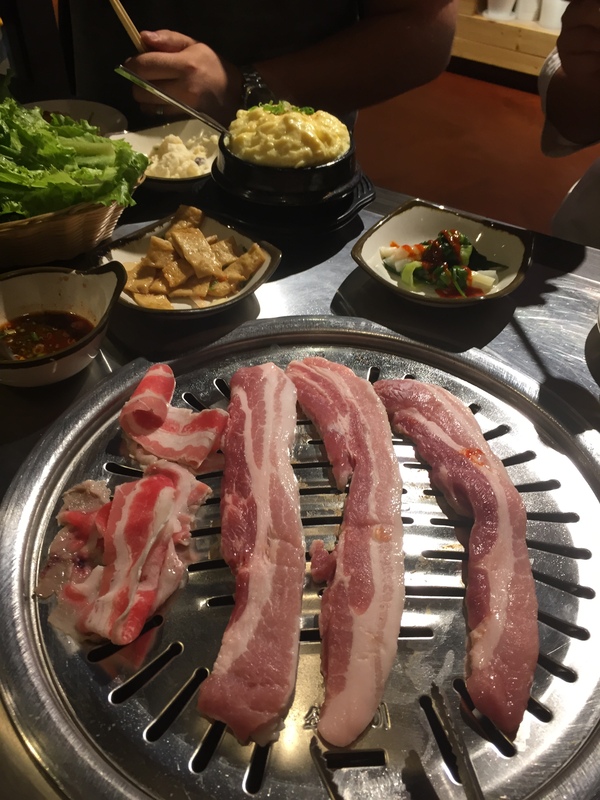 The one we ordered was $79 and consisted of beef navel, pork belly, kalbi, spicy pork, barbeque chicken, onion, mushroom, slice of melon, banchan (side dishes), and steamed egg. In addition, to the meat combo, we also ordered a seafood pancake. Weird angle, but shown above is some of the banchan, while we await our grill top. Grilling pork belly and some of the beef navel. I wasn’t aware that “beef navel” was a cut, but I’ll go with it. It was tasty, fatty, thinly sliced, and delicious. See that yellow souffle looking thing in the back? That’s the steamed egg. You see this made frequently in Asian cuisine. It tastes like a nice warm soup, but with a custard type consistency. It is light, fluffy, salty, eggy, soupy, all at the same time. It melts in your mouth, and I was thrilled that it came with our combination meal! My mother used to make it when I was young, except her version had meat and seafood mixed in. This didn’t have any other meats, but still reminded me of home. My experience was impeccable. Everything was deliciously wonderful. The meats had amazing marbling, and they even provide chunks of fat that you can use to grease up the grill! 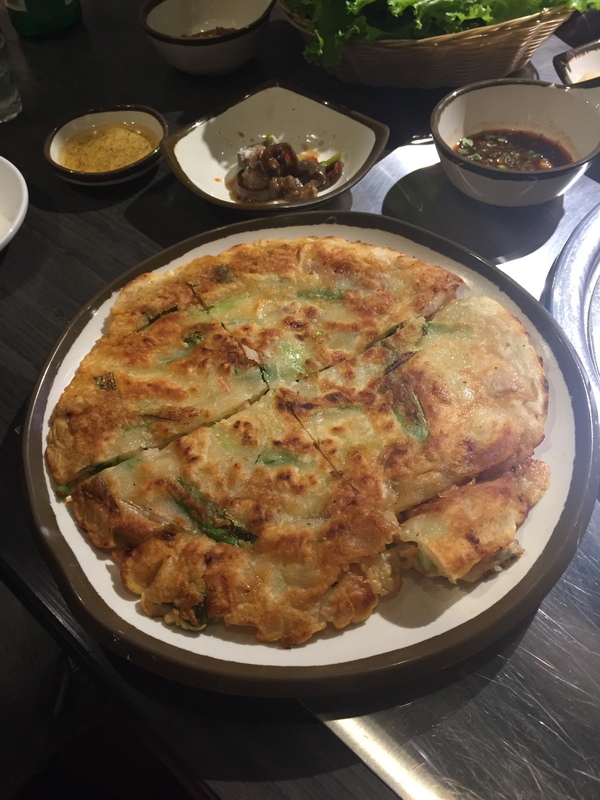 The banchan was on point, the seafood pancake was delicious, and the service was some of the best I’ve ever received from an Asian restaurant. Bi Bim Bab is still a favorite of mine, don’t get me wrong…but now that I know what Dae Jang Keum has to offer, I will probably be frequenting this Korean BBQ location instead.